OFFICIAL ONE DIRECTION HEADPHONES!! FINALLY!!!! OFFICIAL ONE DIRECTION LICENCED HEADPHONES!! UnderCurrent was bowled over both by the content of this exclamation and the double exclamation marks. As detailed in its 25 Best Headphone Brands of 2012 feature, UnderCurrent loves nothing more than a pair of endorsed, branded headphones. Lady Gaga, Dr Dre and AC/DC might be popular in the traditional sense (ie selling albums) but nothing comes close to the popularity of One Direction (based mostly on physical appearance – their sales aren’t that special). “THIS IS GOING TO BE HUGE!!! !” screams the media release, complete with five exclamation marks, one each for Niall, Zayn, Harry, Liam and Louis. UnderCurrent notes that these headphones are incredibly cheap compared to other branded headphones (once again, see the dedicated feature), which must cast some doubt as to the quality of these headsets. Still, throw a 1D logo on anything and its bound to be the most popular of its type in any store in the world (except a record shop). The ‘caps’ on these headphones are interchangeable, so where users can customise their pair with one of seven included varieties (the five boys’ faces individually, the five faces together and the 1D logo). There are four earphone colours to choose from: red, pink, black and white. The One Direction headphones are distributed by Conexus. 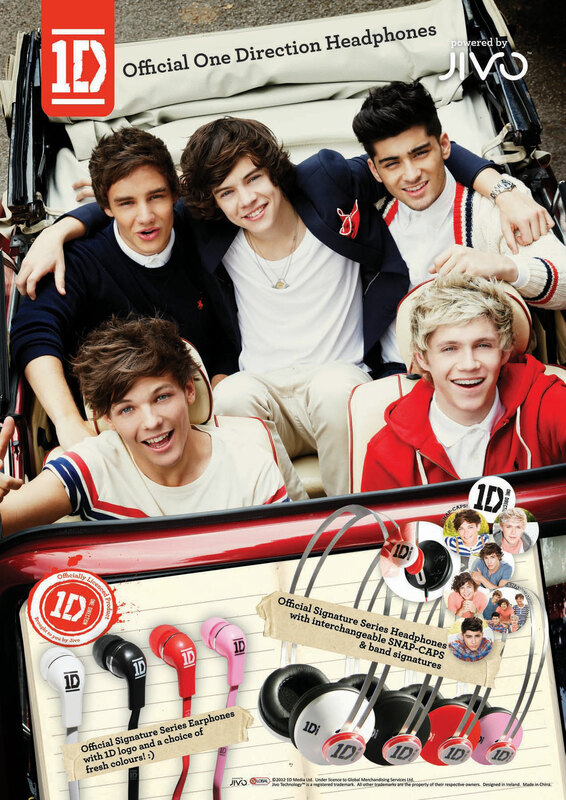 UPDATE: To answer the most common question from readers: the One Direction headphones will be available in late January 2013. We have asked the supplier for more details on which retailers will stock the products.